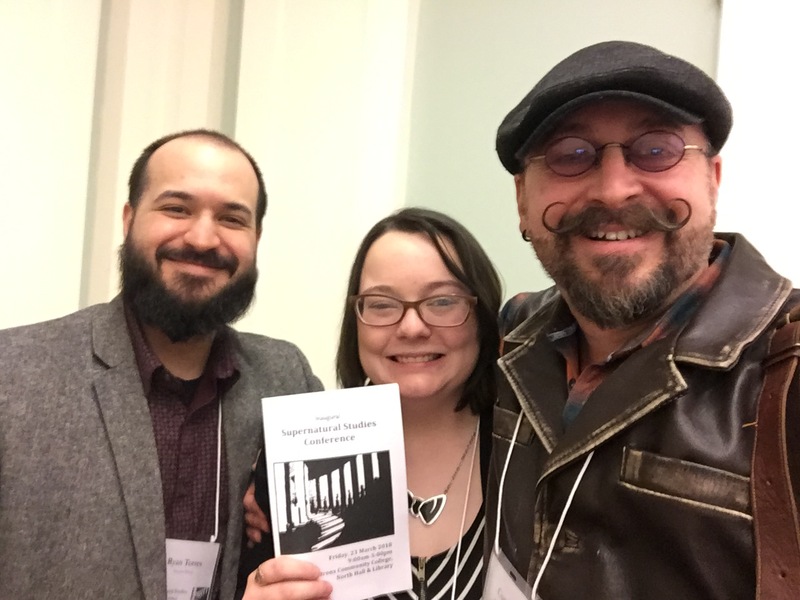 Dr Curt Herr and KU students presented their papers at the Inaugural Supernatural Studies Conference in New York City (March 2018). Kaitlin Weber presented her paper entitled “IS She Mad?” on Victorian Sensation fiction and the novel “Lady Audley’s Secret”, KU Alum and horror writer, Ryan Torres presented his study, “The Haunted House: A Love Story” and Dr Herr presented his paper “Queering the Castle: De-Gendering Elizabeth Bonhote’s Gothic Romance, “Bungay Castle.” The conference grew out of the success of the Supernatural Studies Journal, now in its fifth year of publication. Thirty academics from all over the United States and Canada presented their studies on the supernatural in Literature, Culture, Art, and Film.